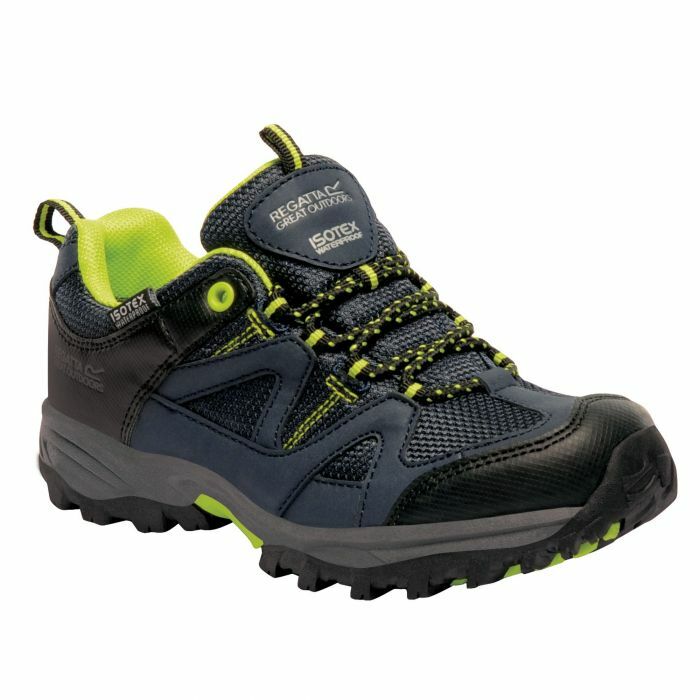 The sporty Gatlin Low Cut Junior Walking Shoe offers waterproof and breathable protection for weekend exploring and mini adventures. The waterproof/breathable ISOTEX membrane and water shedding Hydropel finish keeps their feet dry inside and out. Tough-wearing rubber overlays around the toe and heel protect against bumps and snags while the lightweight, slip resistant sole gives excellent grip on muddy ground. Weighs 265 grams.